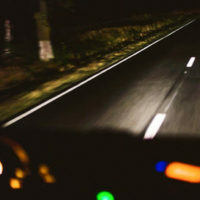 Car accidents and injuries can happen at any time of the day, but they are particularly common and often more deadly over the evening hours. On Sunday, November 4, 2018, we set our clocks back an hour as daylight savings time ended. For many people, this means they will be driving home from work, school, or out running their usual daily errands after dark. It is important to be aware of the dangers at this time of year and to be armed with tips for protecting yourself. Having to ‘fall back’ an hour combined with the changes in season means it will get dark somewhere around 5:00 p.m. For many people, driving at night presents problems, both in terms of their vision and in staying awake. As a result, the National Safety Council (NSC) reports that there tends to be a spike in car accidents at this time of year. Along with the increased risk, there is also an increase in the potential for deadly crashes. Increased risk of running into a drunk or otherwise impaired driver on the road. Avoid looking directly into another driver’s headlights, which can cause momentary blindness. If you are truly unable to see at night, discuss your problem with a doctor as it may indicate an underlying health condition. Get your eyes checked regularly by a licensed ophthalmologist, and consider investing in anti-reflective lenses, which can help cut down on glare. To reduce your risks of drowsy driving, which increases at night, get plenty of sleep the night before taking a long trip and pull over for a break if you feel your eyes becoming heavy. When car crashes leave you suffering serious injuries, the Law Office of Steven G. Lavely is here to assist you in getting the compensation you need to recover. Reach out and contact our Bradenton car accident attorney to request a consultation in our office today.